Where friends and family gather to enjoy a slower pace. But no need to be worried if you're looking for some fun. As you will see, activities abound for everyone! Take a journey from A to Z and discover the unique resort and residential community of Sunriver, Oregon. 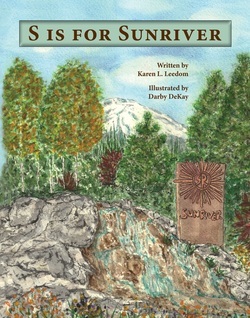 Includes a brief history of Sunriver and has fun facts about the area. For all ages. ISBN 978-0-9826252-2-4, 32 pages, hardbound, 8 1/2 x 11.